Molino La Nava a lovely converted olive oil mill set in and surrounded by olive groves is a real getaway. Soak in the peace and quiet, walk the solitary country lanes or walk some of the GR 48 walking route running right alongside the hotel. Molino la Nava has been well-converted and seven of the eight rooms are named after varieties of olives, the eighth one, the most special out of the uniquely decorated rooms, is called Mirador de las Estrellas or Viewpoint of the Stars. This is a real escape, especially for country lovers, the small garden and pool are very pleasant in the heat of the summer while the inside remains cool. Many original features have been retained and my favourite part is the olive crushing machinery still present in the cosy dining room. The large open-air courtyard is a nice, spot on balmy evenings for a pre-dinner drink or coffee with stars above and the incredible stillness of deep countryside but only 8km from the pretty town of Montoro and half an hour from Cordoba city. 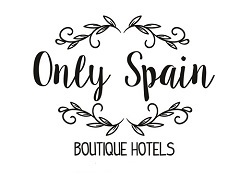 Have you visited a great hotel in or around Cordoba that you’d like to recommend?